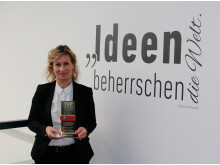 Barbara Höfel, Member of the Executive Board, HR at BPW, is pleased to receive the award from the news magazine FOCUS. Wiehl, 16.02.2017 --- The news magazine FOCUS has again determined the best employers in Germany. A grand total of more than 100,000 employer assessments were received in response to a survey by Hamburg statistics company Statista, a survey of Xing members and based on kununu employer assessments.In the Automobile and Suppliers category, the Wiehl-based family-run company BPW came in among the top 60 and is thus one of 1,000 companies entitled to display the 'FOCUS TOP National Employer 2017' logo with immediate effect. "We are delighted by this award," says Barbara Höfel, Member of the Executive Board, HR at BPW. "The award-winning companies stand out above all for their willingness to address the challenges they face. Prominent among those are state-of-the-art technologies, big data and modern HR strategies." BPW and its subsidiaries employ a staff of some 2,260 in Germany alone and more than 6,400 worldwide. "Thanks to the day-to-day exchange and the open collaboration with international colleagues, we offer an interesting, varied work environment. 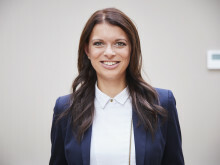 This includes exciting future-oriented issues involving electrically powered vehicles, digitisation and Transport 4.0," says Barbara Höfel and adds: "We see the constant change brought about, in particular, by the digital transformation as an opportunity. In this context, the delegation of authority and the courage to embrace something new, but also respectful dealings with one another and a partnership of equals represent core values of our corporate culture." In its annual ranking, FOCUS identifies those companies in Germany in which employees' job satisfaction is particularly high. One of the decisive criteria was whether the employees would recommend their employer to friends and families. Appraisals of the working atmosphere, internal communication, remuneration, image and management style were also taken into account in the survey.